Make your Sunflower League game predictions in the comments section of this post. Standings will be updated weekly by the TheImpaler. I guess I'll be the first one for the year! And I thought I would be first to get my picks in. Oh we'll here's to a great season. Good luck to all the boys. May you always play to your full potential and stay injury free. SME over LEV in a battle of new coaches. SME switches to a run based game and LEV switches to the spread. There you go. Lets get this thing started! Law @ OS- South wins at home. Too many unknowns for Law. OE @ ON - North is back and makes a statement with the first game of the year. 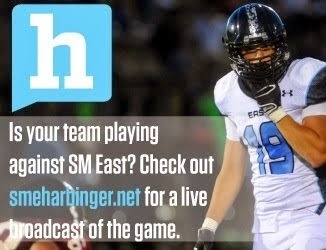 SME @ LV - upset alert. Whoever has the ball last. Wishbone eats up the clock. Pioneers in a close one. SMW @ SMS - Defending champs pick up where they left off. Easy win. Hope every team starts off fighting! I'm a little late on LHS vs. O South but I'll pick the rest. Good luck to all the players and coaches this week! LFS vs SMN I'm going with North in the upset here. NOT!!!! Its sad you cant even joke about a SMN win. SMW VS SMS This game should be closer than all of you think. Rivalry game with athletes on both sides. Both teams will be pumped big time. I'm tempted to pick upset special here. Better not this early. SMW 27 SMS 24. I would have chosen OS over LAW but missed it. forgot about the OS v LAW game until on my way to work this morning...great way to get it going! OE over ON...only because it appears to be too close to call at this point in the season and most are picking ON. Good luck to all the guys playing this year...should be a great year in the SFL! and good luck to all the prognosticators here as well. I only "predict" Free State to win every week. Combined, the Frosh and Sophs went 2-0 this week to the tune of 84-6. Comfortable win for the 'Birds this week with lots of reps for the next generation in the second half. Go 'Birds! ONW won 21-14 over smnw in 2nd O/T. That would make myself and I am guessing the other 5-1 guys 6-0 and some of the others 1 win better. P.S. I was in attendance at this game until the end. The reason I missed the Thursday game was to give you guys a head start and even the playing field. Sorry fellas that will be the last time. See you next week. Not a bad start for 5-1!